Shoes, shoes, shoes! That’s what your sim women need! Well, I’m not that kind of woman who cries by seeing new shoes. I am more excited about new games, haha. But here there are some pumps for your ladies. Two versions: Standalone or additional swatches - you choose! This was a request from Mamiri. Because I wasn’t satisfied with the boat neck dress (half version) I did another solid one. I hope, you like both of them. Another recolor which would fit better in summer season, but I wanted to do this hat for a long time. Especially because I’m working on my request list for the next pieces of CC. So many womens’ clothes, so less hats, haha. Another request by Mamiri and I’m impressed how nice this dress can look! 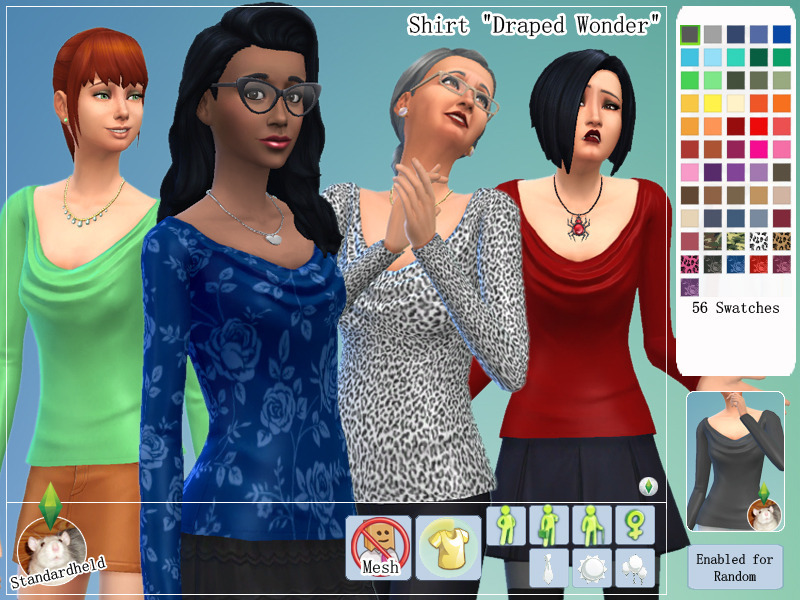 It’s none of my favorites in the EA/Maxis colors but I like it a lot in mine. This was a request by Birksche and she was right: These shoes needed mor color options! I hope, you’ll like it, Sweety. And all others, too, of course. Two versions: Standalone or additional swatches ~ you choose! This was a request by Mamiri and I’m very happy with the result. I hope, you’ll like it! It’s none of your business to worry about the perfrect look of yours sims. Feel trendy, feel stylish with your new business outfits! More preview pictures are on my Simblr account. This was my last open request from Mamiri. Now it’s done and I hope, you like it. This was a request by Captain Saltypants I’m very happy to give you these 3 pieces of CC. 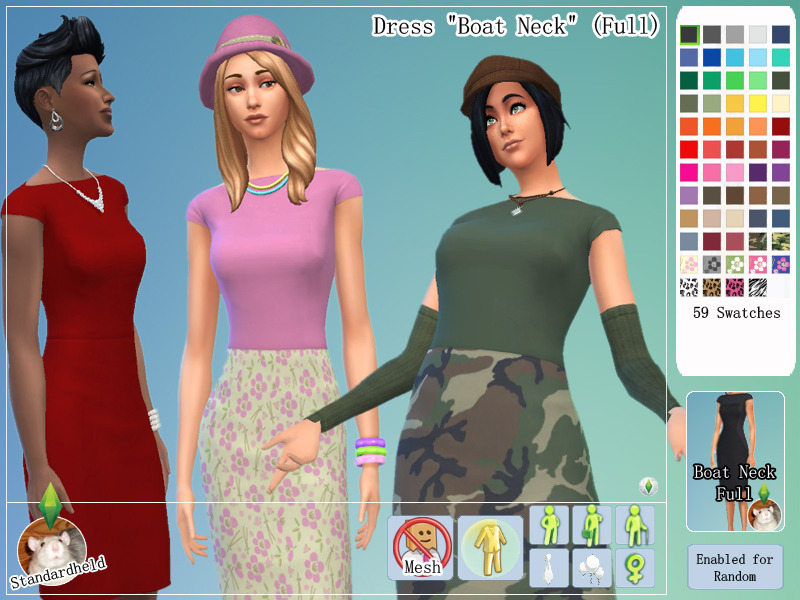 They are no new clothing pack, but, well, it looks like an fan-made accessoire pack (even when the CC is still clothing for your sims). What’s the worst thing you could find under your x-mas tree when unpacking your presents? Right! Socks! Winter socks, striped socks, ugly warm and comfortable socks with crazy pattern. So I decided to give your sim ladies something they really need for x-mas, haha. May you all celebrate a contemplative first Advent! This was a request by Pahndamonium45 and I hope, you’ll like it. I did two versions to choose, but please be aware that the “additional swatches” version isn’t enabled for teens by default (like the origin one). Two versions: Standalone AND additional swatches ~ you choose! Actually, I wanted upload these kids socks at x-mas, but then I saw this funny number of followers (333) in my tumblr dashboard. 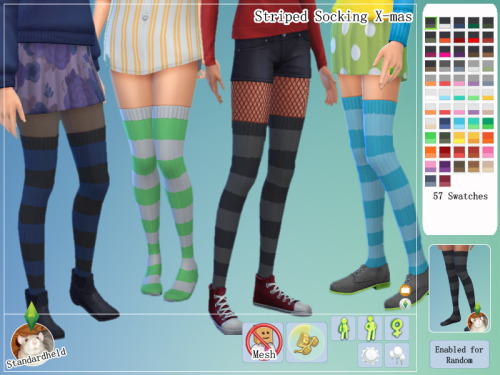 You can be happy to download “socking around x-mas tree” and “lametta stripes” even now. And I am happy to have this feeling, there are so many people out there, who like what I create..It fills my heart with warmth as it can not provide X.mas. Thank you! What’s the worst thing after getting socks and stockings at first Advent Sunday? YES! Getting more socks and stockings at the second Advent Sunday! And this time, they are even striped! May you all celebrate a contemplative second Advent! I had to upload this, before I start to explore Windenburg and the new treasures from “Get together”. 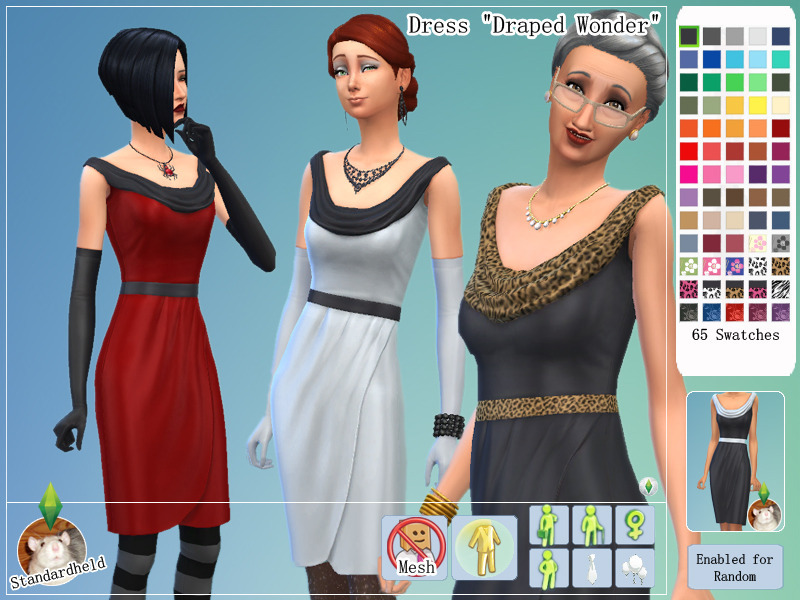 I had a short, nice conversation with nolan-sims and got permission to recolor her sweet dress. Another Advent Sunday, another pair of socks. Because you all can’t have enough socks. And just in case, your grandparents won’t give you some socks to X-mas, you now can have the virtual version. Christmas is coming ~ be aware of more socks!